Want to give your horse a star look? Browse our grooming style accessories to give your horse a unique mane. Choose various styling ornaments and shape your horse’s coat to turn heads when galloping in the park. We even offer pony curls gel and after-spray that keeps your handy work in tip top shape. 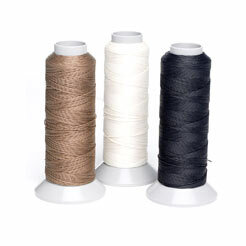 Our products include simple thread reels, plaiting clips and for a more exotic look, silicone plaiting bands. Lincoln Mane & Tail Scissors Size: 6"